As per the 12-man Indian squad released by BCCI for the first T20I against Windies, at least one player is set to debut for the country. The first T20I between India and Windies will take place on Sunday at the Eden Gardens, Kolkata. 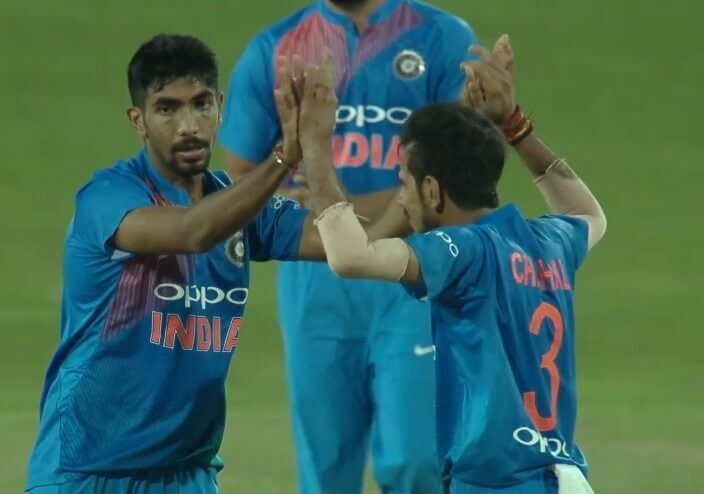 Either of Krunal Pandya or Khaleel Ahmed is set to receive the maiden India cap for the shortest format of the game. Depending on what combination the Indian management opts for, either of Krunal or Khaleel will make the cut. If India decides to play 3 seamers, then Khaleel might get the nod alongside Bhuvneshwar Kumar and Jasprit Bumrah. Khaleel was impressive in the ODI series and makes a strong case for selection. On the other hand, Krunal’s all-round ability might give him an advantage. It remains to be seen what the playing XI will be to accommodate the 27-year-old. If the Men in Blue go in with the regular spin-duo of Yuzvendra Chahal and Kuldeep Yadav, then Krunal might sit out. If they bench Chahal like the last game of the ODI series, then the left-hander has a chance. Virat Kohli was rested for the T20I series which means that Rohit Sharma will be seen leading the side once again. Shikhar Dhawan will accompany him for the opening slot. KL Rahul, Rishabh Pant, Manish Pandey and Dinesh Karthik will constitute the middle-order. MS Dhoni was omitted from the T20I squad which makes Pant the frontline keeper in a limited overs format for the first time. All eyes would be on him as the 21-year-old looks to fill in massive shoes.